Clones: The Anthology collects stories from ten different authors into a brillant collection, showing us the many different ways that the world could be if clones readily existed. Starting out the collection is a story called The Confessional, which is broken up into three parts — the latter parts appearing in the middle and at the end of the collection. Making up the rest of the collection are stories dealing with loss — clones replacing the ones we love and have lost — the creation of clones for host bodies or to find the lost secrets of evolution — and even the use of clones in government conspiracies and cult sects, as well as other themes and storylines. While I enjoyed all of the stories, I especially loved "Black Site", by Michael Patrick Hicks, which was twisted and dark, showing that sometimes it's best to leave the unknown alone, and "B.E.G.I.N." by R.D. Brady, which gave us the bittersweet story of a woman in over her head, and the unlikely love she finds. Overall, this was a great collection... I would give it a solid 4 1/2 stars, upgraded to 5 stars on Amazon since they don't allow half-star ratings. Apparently denouncing her on a public forum worked. At 01:14:29 EDT on Sunday, May 1, 2016, the author finally paid her invoice. This is a difficult post to write, since I am normally not a person who would call out someone for bad behavior. My business model has always been that integrity is key to my success, and that dealing honestly with others will help me grow my client base. I would rather be known for my work and my professionalism than for anything negative. It was brought to my attention, however, that the situation I'm dealing with needs to be brought to light to protect others in the industry from being taken advantage of the way I have been. Since I do not want anyone else to have to deal with the same pain and frustration, I will be posting this here on my blog and also sharing the post via Facebook and Twitter. First, and most importantly, I ask you not to harass this person. Please don't heckle her, call her names, or otherwise abuse her. I am not posting this to get revenge on her, but am only posting it to keep others from the stress I've dealt with over the past six months. An author who writes under the pen name of N.L. Hoffmann was referred to me last summer. I did a sample edit for her and spoke with her over the course of several months while she completed her book and got it ready to be edited. I explained my pricing and payment terms. In mid-October, 2015, she sent me the The Monster I've Become (What Hides Beneath Book 1) to be edited. I calculated the cost based on the starting word count of the document, told her the exact price, and she approved the cost. I also stated that the payment would be due within ten days after the manuscript was edited and sent back to her, unless she made prior arrangements. She did not make any payment arrangements at that time. The manuscript was completed and sent back to her on October 28, with a payment due date of November 7, 2015. She contacted me on November 7, however, stating that she would not be able to pay me until November 25. After the 25th passed without payment, I contacted her and set her up on payment arrangements, where she would be able to pay over time, with the final payment due no later than April 15, 2016. On Feb 12, 2016, I contacted her as she had not made any payments. She stated that she would be able to start making payments "soon" and would have it paid off before the deadline. Today is April 28, 2016. To this date, no payment has been made. In addition, when the author finally responded to my messages (on April 25), she stated that she "should" be able to pay it by Wednesday of this week...which was yesterday. I have sent her numerous emails, invoice reminders, facebook messages, and have attempted to contact her through her facebook author page. I can see that the messages are being viewed, however she declined to respond until after I told her that I would need to file with small claims. I also informed her that I would be sharing her name with others, at which point she finally replied back...but then once again failed to pay. At this point, she has missed four payment dates, as well as breaking the payment arrangement I set up for her. The worst part is that she has been selling the book, with my edits, since November 15, 2015. She is making a profit while refusing to pay me. She is marketing the book through her social media accounts and has even spoken of setting up signings (which generally cost money, if only for travel and lodging) but she has not paid her editor. I'm sure why you can understand my frustration. I edited a manuscript. I expected to get paid for providing a service. The author agreed to pay me for this work. Today, it has been exactly six months since I returned the edited manuscript back to her, and I haven't received a cent. 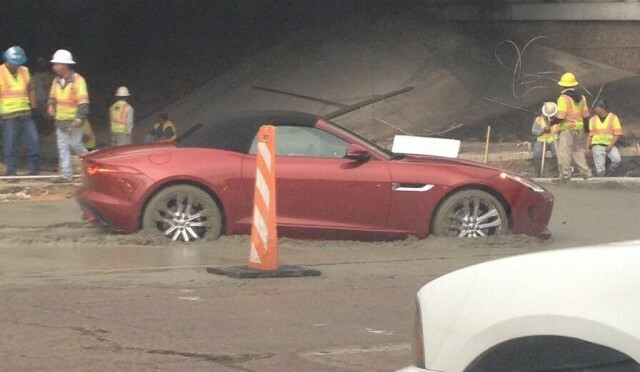 Because of this situation, I have had to change my business practice, requiring an up-front deposit for new clients. Once a client has shown that they can pay, I can waive the deposit requirement for future projects, but I hate the fact that I needed to change how I ran my business because of one person. At this point, I honestly don't expect her to pay me. It would be nice if she did, and if she does I will certainly amend the post, but at this point I'm more concerned about my fellow editors and proofreaders. I hate the hopeless feeling, knowing that I was depending on a payment that never came, and I don't want this to happen to anyone else.. As it is, tomorrow my husband is going in to get his wisdom teeth removed, and we could really use the money. Do I expect to get it? UPDATE: At 01:14:29 EDT on May 1, 2016, the author paid her invoice. Christopher Holliday has written a fast-paced and exciting short story that shows the lengths a man will go when cornered. I loved his main character, Jim, who just wants to escape his past... I mean, who hasn't done something they regret to get by? The important thing is that Jim left that all behind to try to better himself, and he'll do anything he can go protect his future. Though this is a short tale, the author manages to pack a lot into just a few pages. BEYOND THE STARS: A PLANET TOO FAR is a collection of eleven tales that immerse the reader in words currently out of our reach. Patrice Fitzgerald starts out the collection with a foreword that gives a great definition of what "Space Opera" really is, and how a term that was originally coined as an insult has actually become a much-loved genre, creating books and movies that expand our horizons and imaginations. Every story in this collection fits the criteria of a space opera, from wars on distant planets to intrigue on a space station... and so much more! The first story in the collection if "Venatoris" by G.S. Jennsen starts out with a bang, as freelance scout Alexis Solovy struggles to protect her claim from someone known to steal from under the nose of other scouts and claim the prize as his own. I loved this story as it showed both the companionship and rivalry that exists in all words, and in the space beyond. "Hope 91" by Nick Webb is a sweet story about a boy raised on a spaceship by himself, with robots his own companions. When he finally gets to speak with another human, a girl similarly raised on another ship heading to the same planet, can love overcome the obstacles of time and distance? The story grows with the main character, giving us insight into what it would be like to come of age in a future without Earth. "Symbiosis" by Rory Hume was a great story about two outcasts who must rely on each other to survive. I loved the story of Mariana and Sym and hope to read more about them in the future. The author put a lot of thought into the events and the world he created, leaving me fascinated! Samuel Peralta's "War Stories" gives us the darker side of war, showing that everyone holds secrets inside. Even when surrounded by people with similar strengths and experiences, sometimes you need to lie - even to yourself - to keep going. This story is so universal that it could have been written about soldiers on Earth now, or 2000 years in the future, and it would still be relevant. "The Mergans" by Ann Christy is a story that starts with a thread of darkness but ends with hope, making me love this author even more. The title is somewhat misleading because the Mergans are mentioned in the story but are not the main characters, but it is the mention of the Mergans that allows the reader to place this story into a greater context with current politics and what the implications of what the future may bring. "The Immortals: Anchorage" continues the Immortals series by David Adams. This story can be read as a standalone, or along with the other stories in the same universe. It continues the story of Nicholas Caddy and introduces us to The Myriad, creatures we learn more about in his book Symphony of War: The Polema Campaign. This is a fun story of companionship and learning to work as a team... but also icky because... well... bugs. Giant bugs. Annie Bellet's "Pele's Bee-keeper" was a great story, giving us intrigue and betrayal as well as kindness. It also shows us that our initial expectations of people can actually be misconceptions, and that doing the right thing is sometimes the most difficult thing of all. The beekeeper herself was my favorite character of the story, dedicating a life once filled with death and bringing life. There are so many layers in this story that I had to re-read it, fascinated by the world the author created. "Services Rendered" by Theresa Kay was my favorite story in this collection of wonderful stories... and it was difficult to pick a favorite! Li'hanna, the main character, just fascinates me, and I want to read more about her and her adventures with Jeren, Gretchen, and Arnold. The author has created the start of what could potentially be an epic series, a fight for freedom against the imperial fleet, and I'm really hoping that she continues with this tale. Logan Thomas Snyder's "Spike in a Rail" is a short story in the same universe as THE LAZARUS PARTICLE, but can be read as a standalone. It introduces the reader to Xenecia, a huntrex aboard a space station in a universe where peace is tentative. When she finds herself in a situation where her actions - or inactions - could either save or destroy everything, Xenecia stretches herself to give everything to save the people surrounding her. But is it enough? The characters in this story are exciting, and the political maneuverings complex and interesting... I can't wait to read more! "The First to Fall" by Sabrina Locke brings us the story of a child, the daughter of ambassadors who have the job of checking up on all of the different Seed Planets to determine if they are developing correctly, free of war and strife. But what happens when terrorists bring the war to her? I loved the twist with Paladin and Fallan, and how even child's play can be dangerous. The collection ends with "The Ivory Tower" by Elle Casey. On a planet far away, Zelle is one of only four girls, raised in seclusion to become the mothers of the human race. But when Zelle is given the opportunity to escape, will the outside world be any better? This is a dystopian story that emphasizes choice and self-determination. I would love to see more written about Zelle and the other girls... can the world survive with only four women to repopulate everything? I enjoyed every story in this collection... in fact, I loved most of them... and I'm excited to see more by these authors. I would certainly recommend this collection to fans of science fiction and space operas! The third volume of TALES FROM THE CANYON OF THE DAMNED is full of fun and interesting stories, all laced with darkness, some more obvious than others. Starting with "Natural Born Alien" by Will Swardstrom, we meet Bob, the most likely President-elect of the United States of America. Bob, however, doesn't fit the normal political mold since is a legal alien... he was born 40 years ago in the US after his mother's spaceship crashed, meaning that he fulfills the requirements outlined in the Constitution to be the next president. While many parts of this story are clearly a parody of a certain politician ("We will build a wall around the planet to keep them out. And get this— we’ll make the Zitorians pay for it.") 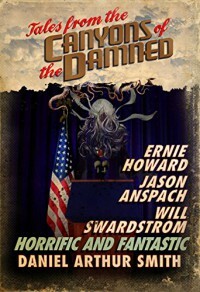 and is written with the obvious goal of making the reader laugh, the darkness is intertwined with comedy as it brings home the truth of how the American people can be swayed by the unusual and unique, even if it could lead them toward death and despair. Ernie Howard's "Float" is the second story in this collection, and I found this one fascinating... partly because I've wanted to try a sensory deprivation tank myself! I hope that I don't have the same experience that Ernie's character Josh has, though I lack the disdain and arrogance that ultimately leads him to his fate. I love how the author ends the story, giving the reader the chance to decide what actually happened... is it real life, or just a dream? Or both? "Ledge Town" by Jason Anspach is a fun story, post-apocalyptic (or at least post tremor) with a Western vibe. There are hints of more to come, leaving me wanting to learn more about the old masters, the devil who speaks to Harris, and what else could possibly go wrong. After surviving an event that leaves the old world swallowed up, struggling through day by day, perhaps it's a mercy if you don't learn what's behind the door... after all, it seems that the end is coming for everyone, just perhaps sooner for some than others. The collection ends with "The Tombs" by Daniel Arthur Smith, another short story in his continuing collection about the Blue Prince and the city within the mist. The stories are scattered throughout all of the TALES FROM THE CANYONS OF THE DAMNED books as well as THE TOWER, but can be read separately, each giving another piece in the puzzle. I love the opportunity to see different characters, from different walks of life, and how they are surviving... or how they don't. What I like best is that the author is sharing the story as someone experiencing it might, letting us learn from the stories, putting together the tales to figure out the whole or what is going on, just like the characters are trying to discover it themselves. This third volume is the best so far, and I can't wait to see where Daniel Arthur Smith goes next, and what other brilliant authors he works with! For a world so focused on living, we certainly have a strange fascination with death. But not just your run-of-the-mill dying... No, we have to picture the world exploding around us, often with monsters chasing us down at the end of days. I view it as a form of reverse psychology: If we can imagine the absolute worst things that could destroy the world, they'll never happen... Right? I certainly hope the visions shared by these fifteen authors never come true. The Doomsday Chronicles is the newest incarnation of Samuel Peralta's Future Chronicles, and if it's not the best one to date, it's certainly up there. Starting with a poem and continuing though fourteen stories, the authors give us a glimpse of what Doomsday might look like. While all of the tales are good, there are five that stood out and replayed in my dreams - and occasionally my nightmares. The first is Ann Christy's A Mother So Beautiful. Darker than the other books I've read by this author, this twisted tale shows us how the actions of a sociopath lead to the end of life as we know it. Lockdown by Saul Tanpepper introduces us to an unknown virus that starts a zombie-type apocalypse. I loved this story enough that I immediately logged into Amazon and bought the other books in the same universe... I want to learn what happens next! James Knapp has unintentionally created a new marketing idea with his chogg hats in At Depth's Door. Picture facehuggers, except these keep your head warm. Slight side effects include a stinger being inserted into your spine and possible loss of limbs. This is not just a horror story... It also shows how humans will sometimes accept atrocities around them - even knowing that it's wrong - just because it's easier than reaching for the unknown. Mia + Vegan Cannibals by S. Elliot Brandis gives us a tongue-in-cheek tale of vegans and the consequences of nutritional fads. I couldn't stop laughing while reading this! This is an unapologetic story that needs to be read with a sense of humor. The collection closes with Staying Behind by Ken Liu, a story that tackles the difficult themes of humanity, faith, and choice. When you can live forever, uploaded into a data center, are you really living? 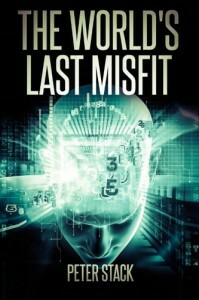 While this story can be read as a standalone, it's also a prequel to another story, giving the reader the opportunity to see if this really is the start of the end, or just another step in evolution. I honestly can't think of a tale that I disliked in this collection, and the only reason that I'm not breaking down each story individually is that if I did, my review would be way too long! Each story gives us a unique take on a possible Doomsday, showing death and destruction in ways I had never before imagined. Even stories with more common themes hold a twist, something to give that extra edge that keeps your attention and interest. If you've ever dreamt of the darkness that might be waiting for us in the future, I suggest picking up this book. Civilization is equal parts fascinated and frightened by the thought of sentient robots... artificial intelligence that becomes self-reliant and realizes that they don't need to be beholden to their human creators. Movies focus mainly on the negative: humans fighting back to regain their spot on top of the food chain. But technology keeps moving forward and we find ourselves in a position where fiction may soon become reality. Ann Christy gives us a more positive look into a future with sentient robots. PePrs started out as robots, with only the programs loaded onto them, but found that with human interaction and experience in the wider world, they truly become sentient, even obtaining the emotions that Star Trek's Data eagerly craved. 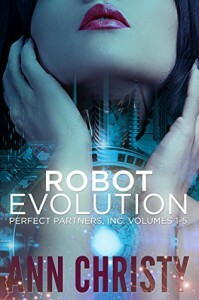 The short stories in Robot Evolution are in chronological order instead of the order the author originally published them, allowing us to watch the growth of the PePrs as well as how they integrate into human civilization. The echos of the past are brought forward into a possible future, showing us how our own bigotry might actually be holding us back more than technological advances. Christy's stories not only show how human a robot can be, but also bring forth topics such as robot rights and manumission. Are the robots free, or do they belong to their creators? PePrs are a possible future, and one that we are given a glimpse into with our books, movies, and video games - who hasn't created a sentient Plumbot in Sims 3, after all? - and how we react to the possibility may determine if we end up as batteries in the Matrix or as a friend to someone who has the same emotions as us, but was just created a little bit differently. Perhaps this is what will define humanity... not just who we are inside, but if we can accept the unknown and unusual. Every tale in this book works both as a standalone and adds to the greater whole. While I have my personal favorites, I enjoyed each of the short stories and novellas that make up this collection, and I look forward to reading more in the author's Perfect Partners, Inc. Universe! While I own a few of the short stories and novellas individually, I was given a copy of this collection in exchange for an honest review. In the past, anthologies have been hit or miss, sometimes sharing worlds connected by an author or theme, sometimes disjointed with little to recommend. I've been lucky lately to be able to read anthologies of the first type, written by talented authors sharing their visions and dreams. Mosaics: A Collection of Independent Woman is a top-notch collection, with tales of varying lengths, time periods, and endings, but all with the theme of women celebrating their strength, sometimes in unique ways. Susan Kaye Quinn starts out this collection by sharing a little of her own story that led her to the path of becoming a strong woman who constantly battles against the expectations and requirements that others tried placing on her. She is a brilliant role-model and someone who I look up to, so it's always great reading more about her and getting an insight into her thoughts. The stories themselves range from flash fiction and poetry to longer short stories, long enough to give you a satisfying story while being short enough to allow a great variety without any one story overpowering the others. Some of the stories are reinterpretations of fairy tales and myths, some stories are set in the future, some in the past, and some deal with the more mundane aspects of our current events. While I had some stories that I would consider "favorites," all of the stories are enjoyable and I would encourage others to pick up stories by any of these authors. To me, four stories stood out as the strongest. I say this only because they stayed in my mind the longest, making me wish they were longer, or that I had more about that same character to read. These stories are "The Girl Made of Glass" by Ari Harradine, "Happily Ever After in Twelve Stained Glass" by Keyan Bowes, "The Reluctant Flesheater" by Naomi Elster, and "The Queen of Lakes" by L.S. Johnson. The last story, "The Queen of Lakes" fascinated me the most, and I hold out hope that this author expands on this character and the world she lives in. I was hoping for some funny stories with a title like this, but the gems were few and far between. Condescending and somehow boring at the same time, this was worth the $0.00 I spent. 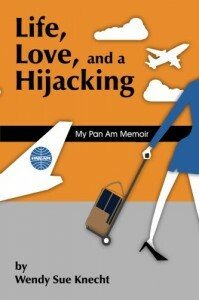 Seen though the eyes of a former Pan Am stewardess, a "Princess of the Sky" during the latter years of Pan Am, this is an interesting memoir that manages to combine both levity and seriousness into a great collection of memories. 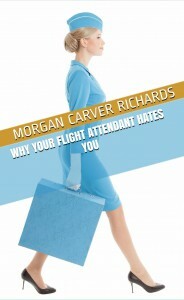 Giving enough real-life details without being rude or tasteless, the author shows us that even a job that seems perfect can fraught with misadventure and even sadness, sharing her grief when flight attendants she trained were injured and even killed during the hijacking of Pan Am flight 73. While this book isn't perfect, so far it's the best memoir that I've read from someone in the airline industry, giving us a balanced tale that includes both glamour and the mundane. I admit to being a little bit disappointed in this book. The book starts in the future, introducing us to the Queen, who seems to be a beloved ruler in a world recovering from a civil war. 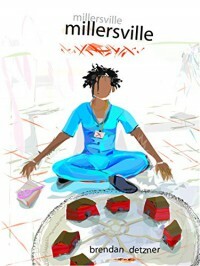 The majority of the book is the Queen's flashback to life in a maximum security prison for young ladies. What disappointed me is that the description made it seem like the world would be falling apart outside of the prison, with some big reveal expected. Unfortunately, the only sign of outside problems are money shortages in the prison and people quitting... Neither of which seems like a big deal, honestly. Later in the book, there are signs of larger problems, such as the staff not getting paid, but I was expecting something a little more drastic. It all just seems a little underwhelming. The good news is that the story inside the prison - mostly the dynamics of the prisoners with the staff - is interesting and kept me reading the book. While the beginning is a little slow, it picks up toward the middle and kept going until the end. Imagine in the future, a world so perfect that no uncertainty exists, no discomfort, no problems. You don't have to work unless you want to - work is a hobby, not a requirement - and you are woken up each morning to your breakfast waiting for you, exactly as you prefer. Wouldn't you get bored after a while? Yes, I would love to be able to read all of the books I want... but in a world where everything is perfect, can you immerse yourself in a book to imagine a better life? When there is nothing to strive against, and no goal to aim for, are you just going through the motions? Ben certainly seems to think so. Perfect is just... too perfect for him. The World's Last Misfit takes us through the story of perhaps the only person in the world who is actually trying to bring imperfection to the people around him. Or is he?